We offer one on one private personal training and group sessions. You get direct access to Carlos Daniels in your choice of private or group sessions. These sessions are customized by Carlos for you and your desired needs. There are a variety of packages and session types you can choose from. 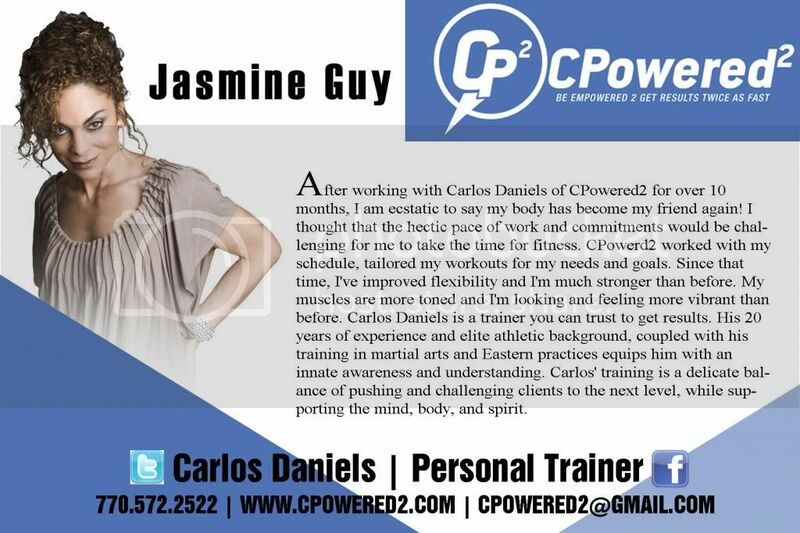 For information on rates, packages, and location contact Carlos Daniels and the CPowered2 team. Got Fat Problems? We Can Help...Lets Get Started. How Does Private Training Work? 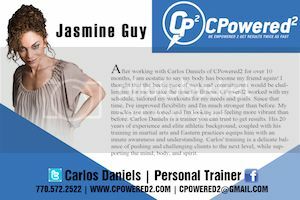 Regardless of your level of fitness or experience CP2 Personal Training tailors its sessions and workouts for your level of fitness. From the working professional, to the collegiate athlete, sessions include a variety of exercises that are always challenging and adventurous. Go to the Get Started Page, complete and submit the brief questionnaire. Within 48 hours, a CP2 representative will call to discuss your fitness goals, health history, and address any concerns that you may have. If you decide to move forward, you will then schedule your personal consultation and submit payment of the initial $24.99 consult fee. Once your payment has been processed, you will receive an email outlining instructions for completing your comprehensive medical questionnaire. This questionnaire must be completed in its entirety prior to your scheduled visit. Show up for your scheduled appointment...after the initial consultation, simply pick a package and get ready to sweat. Stay COMMITTED & REACH YOUR GOALS. We offer flexible training times in an intimate no pressure setting. All sessions are designed with your personal goals in mind to ensure achieve maximum results. Regardless of your fitness experience, all CP2 workout sessions are tailored for your individual level of athleticism. Click image to read what our clients have to say about their experience with CP2. © Copyright 2013 by AKULA DESIGN. All Rights Reserved.